Zutara Forever ;). Katara Chooses Right :D. Wallpaper and background images in the Zuko and Katara club tagged: zutara katara zuko. This Zuko and Katara Screencap might contain anime, banda desenhada, manga, desenhos animados, mangá, and quadrinhos. LOL! How's it feel Aang? 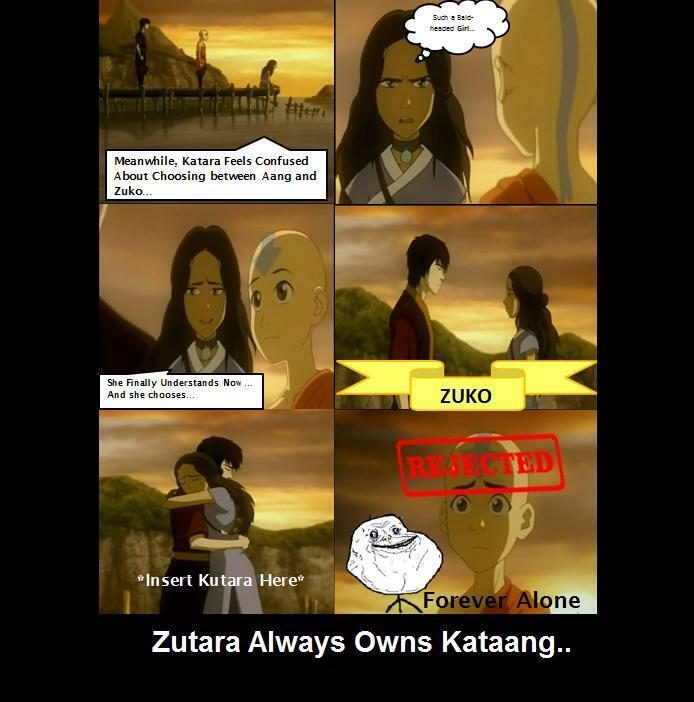 I know you're sweet and all but ZUTARA ALL THE WAY!